The Indiana University Clinical Trials Office (IU-CTO) recently unveiled a redesigned website that will play an integral role in establishing IU and its strategic partners, including Indiana University Health and Eskenazi Health, as a premiere enterprise for sponsored clinical trials. Through the website, the IU-CTO will provide valuable tools for industry sponsors including templates for confidentiality, study start up and clinical trial agreements. According to IU’s Institutional Review Board, there are currently 726 sponsored clinical trials active in the IU hospital network. The IU-CTO is optimistic that the launch of its new website will provide the visibility, access and education needed to expand and enhance the efficiency of clinical trials throughout the state. The website features resources needed by investigators, study coordinators and patients participating in sponsored clinical trials that will enhance patient access to cutting-edge clinical innovations that could provide life-saving benefits. The website also includes an overview of OnCore, the clinical trial management system implemented on an enterprise level by the IU-CTO, detailing how this system will promote enhanced safety for research participants and streamline clinical trial operations. Angela Tomlin, PhD, associate professor of clinical pediatrics and director of the section of child development at IU School of Medicine, and director of the Indiana Leadership Education in Neurodevelopmental Disabilities (LEND) Program, has joined Interdisciplinary Research Leaders, a new program led by the University of Minnesota with support from the Robert Wood Johnson Foundation. Dr. Tomlin is partnering with Shoshanna Spector, executive director of Indianapolis Congregation Action Network (IndyCAN!) and Karen Ruprecht, PhD, director of innovation in early education at Early Learning Indiana, to form a team that will examine the effects of parental incarceration on young children. The Indiana team will join researchers and community leaders from across the country to collaborate and innovate to solve persistent challenges and advance a Culture of Health—one that places well-being at the center of every aspect of life. As one of only 15 three-person teams selected, the Indiana team is investigating how participation in a high-quality pre-K program can help affected young children. Results of the research are viewed as a way to change policy in Indiana related to incarceration. With the goal of breaking the bottleneck in developing new drugs to treat Alzheimer’s disease, the National Institute of Aging will provide $25 million over five years to establish and fund the Alzheimer’s Disease Precision Models Center at Indiana University School of Medicine and The Jackson Laboratory (JAX). The center will be jointly led by Drs. Bruce Lamb and Paul Territo at IU School of Medicine and Drs. Gareth Howell and Greg Carter at JAX. An age-related neurodegenerative disease, Alzheimer's disease is the leading cause of dementia among people age 65 and older. An estimated 5 million Americans have the disease, and it ranks among the top six causes of death. The center will focus on creating dozens of new models of Alzheimer’s disease in animals; studying their physiology, behavior and genomes for disease relevance; and discovering and testing potential Alzheimer’s disease treatments. To date, success rates in clinical trials of Alzheimer's disease drugs after testing in animal models have been disappointing. Howell noted, "Existing mouse models for Alzheimer's disease have provided important insights into aspects of Alzheimer's disease biology, but have not been great preclinical models as they do not sufficiently model the disease. The combination of new gene editing technologies such as CRISPR/Cas9, large-scale genomic data resources, and advanced computational methods is enabling the rapid and precise development of mouse models of disease, even in complex diseases such as Alzheimer's disease that involve multiple gene mutations. "Our aim is to develop animal models that more closely mimic human Alzheimer's disease and a preclinical testing pipeline through which novel therapies can be tested to greatly accelerate the process by which therapies are successfully moved forward to human Alzheimer's disease clinical trials," Howell said. Bruce Lamb, PhD, executive director of the Stark Neurosciences Research Institute at IU School of Medicine, noted that in the past decade researchers have identified many genetic variants that appear to be linked to Alzheimer's disease but whose roles are unknown. "I would argue that those results indicate that we do not, even today, have a very good understanding of the biology of late-onset Alzheimer's disease," said Dr. Lamb, Roberts Family Professor of Alzheimer's Disease Research. "Developing these new animal models will be key to ultimately translating those research discoveries into new Alzheimer's therapies," Dr. Lamb said. The IUPUI Chancellor’s Academic Honors Convocation recognizes outstanding achievements of IUPUI faculty, staff and students in teaching and learning; research, scholarship and creative activity; civic and community engagement; and diversity, collaboration and best practices. View this flyer for more information about the awards and nomination instructions. The awards will be presented at the Chancellor’s Academic Honors Convocation on Friday, April 21, 2017. Health care educators who want to learn about the latest simulation technology are encouraged to attend Faculty Development in Simulation Day from 8 am-4 pm, Tuesday, Nov. 15, in the Simulation Center at Fairbanks Hall, 340 W. 10th St., Indianapolis. Topics include introduction to simulation education, case development and running a simulation. Six hours of CE and CME credit will be offered. For more information, view this informational flyer. To register, visit faculty.medicine.iu.edu/sim. 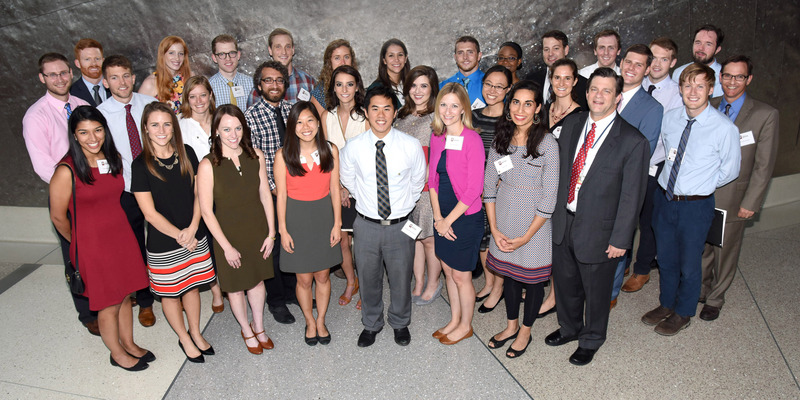 Several IU School of Medicine student interest groups (SIGs) will co-host presentations in honor of the American Medical Student Association’s National Primary Care Week, Oct. 3-7. Talks will be held each day, centering on the theme “Improving Access and Quality for All,” and will culminate with a keynote presentation on Friday, Oct. 7, by Clif Knight, MD, IU School of Medicine alumnus and senior vice president for education at the American Academy of Family Physicians. Groups sponsoring the week’s presentations include the Family Medicine SIG, Internal Medicine SIG, Med-Peds SIG, Primary Progress SIG and Psychology SIG. The schedule of talks is included below. 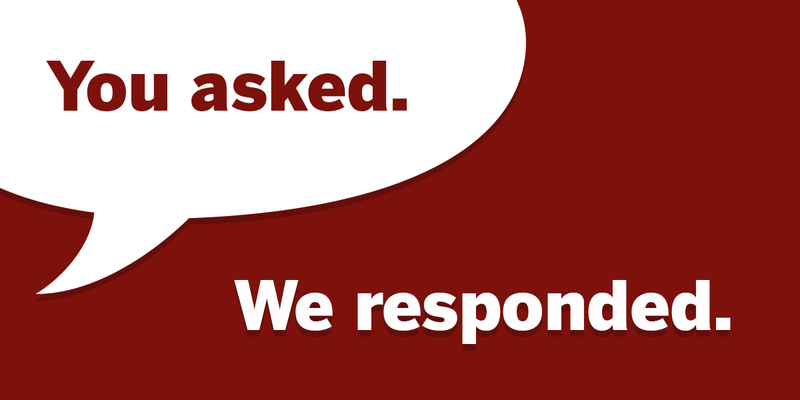 Contact fmsig@iupui.edu with questions or visit https://theden.iupui.edu/organization/fmsig. Maureen Harrington, PhD, associate dean, medical student education in foundational sciences, is visiting IU School of Medicine campuses as part of a statewide tour to talk about the Phase 1 and Legacy curricula. The open platform sessions for MS1 and MS2 students offer students a chance to check in and give feedback on the curriculum. Details on future sessions at other campuses are listed below. The Medical Student Education (MSE) fall festival and open house is a chance for IU School of Medicine students to engage with faculty, staff and academic offices to celebrate the joys of fall. The event will be held from 11 am-1 pm, Friday, Oct. 28, at the Van Nuys Medical Science Building on the IUPUI campus. For more information, contact Rachael Urso, Medical Student Education, at rurso@iu.edu. The IU School of Medicine Alumni Association is accepting nominations for the Distinguished Alumni Award; George W. Sorrells, Jr., MD, Community Physician Award; Glenn W. Irwin, Jr., MD, Distinguished Faculty Award; and the Early Career Achievement Award. Nomination details are available, and submissions are due Nov. 11. Questions? Contact Ryan Bowman, director of alumni relations, at rsbowman@iu.edu. Sections I and II cover basic principles, design of medical research studies, standard statistical tests and data analyses, and data management. Session III focuses on more advanced topics, including multiple linear and logistic regression, survival analysis, longitudinal data, and genetic analysis. Rafat Abonour, MD, a physician scientist at the IU Simon Cancer Center, embarks on his 12th annual Miles for Myeloma on Friday. He and a pack of nearly 30 cyclists will bike close to 200 miles, from Columbus, Ohio, to Indianapolis this year. A finish-line celebration is set for 4:15 pm Saturday at the Scottish Rite Cathedral, where several hundred patients and their loved ones will be on hand to welcome back Dr. Abonour and the others following the two-day cycling event. Dr. Abonour began Miles for Myeloma to raise awareness and funds for multiple myeloma, an incurable blood cancer. His efforts have raised more than $3 million for research at Indiana University. Join the 2016 presidential election conversation by attending “Loaded Rhetoric in Presidential Campaigns” from noon-1 pm, Wednesday, Oct. 5, in University Library, Room 1126, on the IUPUI campus. The event is sponsored by the Office of Intercultural Literacy, Capacity and Engagement, and is open to all IUPUI faculty, staff and students. Light snacks provided, or bring your lunch. Contact Alice Jones, ahoenigm@iupui.edu, for more information. Learn more about the proposal writing and submission procedures for the National Institutes of Health at a comprehensive workshop from 8:30 am-4:30 pm, Friday, Oct. 21, in the Indiana Memorial Union/Biddle Hotel and Conference Center, Redbud Room, on the Bloomington campus. Register for the workshop or find out more.